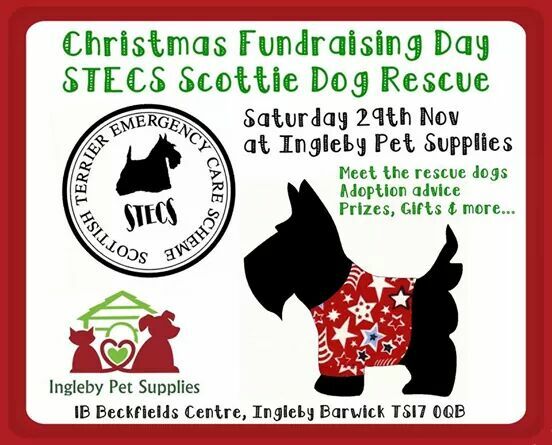 Come along to the STECS Christmas Fundraising Day on Saturday 29th November at Ingleby Pet Supplies. We had a successful STECS awareness day in the summer and hoping we can repeat the great day we had again. Everybody welcome to join in the fun and have a go on the chocolate tombola.